Thomas H. Shomo '69 delivered the Opening Convocation address offering guidance to the newest generation of Hampden-Sydney College students. 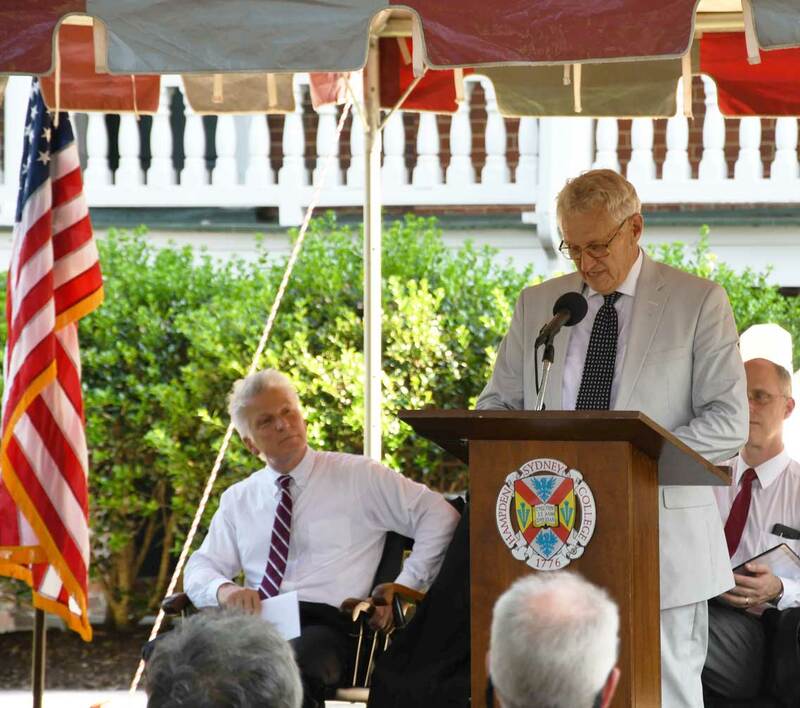 "Here and in the larger society, no honest work is without dignity or unworthy of respect; no one is undeserving of your acknowledgment," said Thomas H. Shomo '69 to the Hampden-Sydney College community on Tuesday, August 28. This line—a reference to the "longstanding tradition on our campus that we speak to each other as we pass"—is one of many gems from Shomo's featured address at Opening Convocation for the 2018-19 academic year. In remarks titled, "One Who Never Inflicts Pain," Mr. Shomo addressed the concept of a gentleman, a timely topic as the College welcomes one of the largest freshman classes its history and celebrates the 40th anniversary of Shomo's well-known book, To Manner Born, To Manners Bred: A Hip-pocket Guide to Etiquette for the Hampden-Sydney Man. The Opening Convocation ceremony included the inauguration of student government officers and an address by the student body president, Michael Good '19, who challenged his fellow students to get to know their professors, pursue their passions, and get involved in the campus community. "We have so much potential, and we have every reason in the world to keep the momentum in full swing," he said. Following the presentation of awards (detailed below), Dr. Larry Stimpert delivered the president's address, touching on the College's exalted past and promising future. "While we have been working together to enhance every aspect of Hampden-Sydney," he said, "we remain steadfastly committed to our distinctiveness and identity as a college for men." 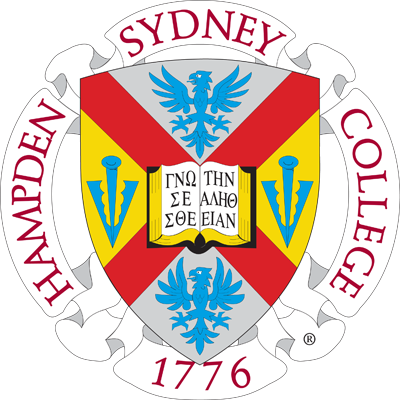 A key element of Hampden-Sydney's distinctive identity is its historic mission "to form good men and good citizens," an ideal that Mr. Shomo explored in detail. Mr. Shomo's remarks blended history with a discussion of gentlemanly ideals and behavior, as well as the way these ideals and behaviors contribute to the fabric of Hampden-Sydney and form its place in society. Above all, never be one who causes pain...No, no. Do not just be one who 'never causes pain.' Be one who gives joy. "Drawing inspiration from the founders, civility and civil discourse is valued at Hampden-Sydney," Mr. Shomo said. "It was through civil discourse—often expressed in the clear and compelling writing that is the goal of the Rhetoric Program—that support was gained to launch and sustain a difficult war of independence and to create a unique nation of laws and not of kings." A member of the class of 1969 who served for many years as the College's director of public relations, Mr. Shomo also highlighted the College's Latin motto, which translates to "come here as youths so that you may leave as men." With characteristic humor, he reminded students that success is not a certainty: "Please note the phrase 'so that you may leave as men.' It is a possibility. Your experience at Hampden-Sydney will transform you, but it is not a magical process accomplished without your effort. Even Harry Potter had to go to class." Mr. Shomo closed with a piece of guidance for the newest generation of Hampden-Sydney students. "Above all, never be one who causes pain," he said. "No, no. Do not just be one who never causes pain. Be one who gives joy."